In 2009, the Trotman Auto Group added Abbotsford Hyundai as a member of our award-winning line of dealerships. Abbotsford Hyundai is one of British Columbia's largest Hyundai dealerships. Abbotsford Hyundai and its sister dealership Abbotsford Chrysler are nestled in the Fraser Valley Auto Mall, serving a best-in-class car shopping experience to the Abbotsford region east of Vancouver. We're committed to a better Abbotsford community. As a Hyundai dealership, we donate time and money to support the Hyundai Helpers Program, a nation-wide charity that lowers barriers for at-risk youth to participate in local hockey leagues and benefit from involvement in team sports. Abbotsford Hyundai and Chrysler work with other members of the FV Auto Mall every year to raise money for the Abbotsford Food Bank. Along with other TAG dealerships, Abbotsford Hyundai staff participates in Monthly Jeans Luncheons that have raised over $100,000 for the Langley Memorial Hospital. 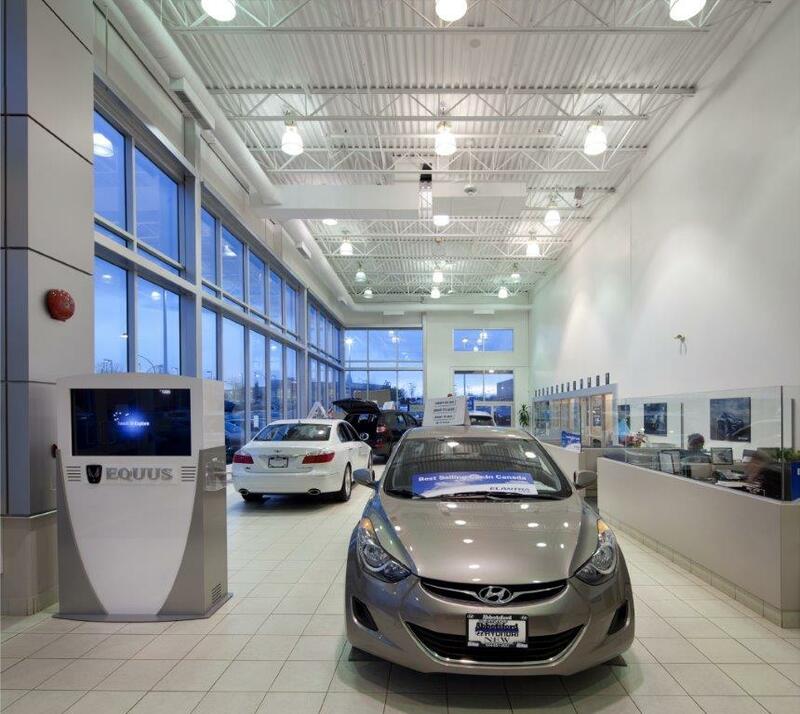 As a Trotman Auto Group member, Abbotsford Hyundai follows a set of core values in pursuit of a better dealership experience. Client service is of utmost importance. Streamlined buying processes and transparent service allow our customers to feel comfortable and confident in every dealer interaction. Thank you for stopping by Abbotsford Hyundai. We'd love to hear from you on how we can improve, so please contact us!